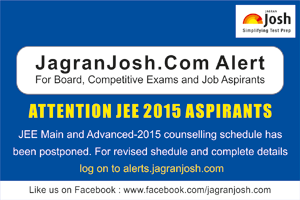 The schedule for JoSSA-2015 has been revised. Click here to know the details. CBSE, the conducting body of JEE Main-2015, was unable to declare the rank of all the candidates as all the school Boards did not deliver the result data to the body. Due to this, the JoSAA counselling which was due on June 25th, 2015 was postponed.